Depression can be the greatest isolation that we can experience, and it can be very difficult to take the steps we need to take to feel better when feelings of hopelessness and lack of energy overwhelm us. However, although overcoming depression is not easy, it is possible and it is important to recognise that you can have some level of control over your thoughts and your feelings. The following self-help tips can help, either alongside any professional help you may be receiving or on their own. Small goals and small steps are the way forward. Write down a list of 6 things that you can manage to do that can help you move to a different emotional space. e.g. taking a bath, making yourself a cup of tea, walking outside and looking at the sky, taking a short walk down the road, phoning a friend. Pick one of these things each day and reward yourself each time you accomplish one. The heavy fog of depression can be very difficult to lift on your own, and being isolated can make it worse. Reaching out to others for support is a strength, and this is the time to do it. Often, it may feel more comfortable to retreat into yourself, but being around other people can help lift your depression and improve your support network. It can feel a difficult task to “think positive” when you are depressed, but there are things you can do to challenge the negative thoughts you may be having, simply by offering yourself more balanced and realistic thoughts. E.g. Ask yourself, are you being harsh on yourself with what you are thinking? Would you say what you are thinking about to someone else in the same position? Is there a less harsh thought that you can offer yourself? A self-care Kit can support you in different ways when you feel depressed. Collect together one item for each of the 5 senses that can help bring good feelings to the surface for you. E.g. smell (coffee, incense, perfume); taste (chocolate, sweets); touch (crystal, stone, jewellery, teddy); sight (photo, poem); sound (CD, Ipod). Place these items in a box, and dig into it to help you move to a different emotional space. By choosing 2 or 3 items from the box, you can make it more portable and carry them around with you. Although this is the last thing you may feel like doing, exercise can be a powerful tool to helping depression. A 10 minute burst of exercise each day can be a good start e.g. walking up the stairs, walking down the road, and you can then progress to longer periods of exercise, e.g. swimming, yoga. Aim for mood boosting foods including low-fat protein, complex carbohydrates and fresh fruit and vegetables. Reduce your intake of foods that can adversely affect your mood, such as caffeine, alcohol, saturated fats, and foods with high levels of chemical preservatives. Each evening, look back over your day and choose 3 things that have happened that may have made you smile or may have just helped you feel a little better, and write them down, however small. This may seem like a struggle, but it is possible to start tuning in to notice these things, e.g. something nice or amusing somebody said or did, hearing a nice song on the radio; something nice that just caught your eye. Whilst these tips can all be part of your treatment plan for recovery from depression, there may be other issues such as anxiety, trauma, loss, and anger underneath it all. If you are finding that you are continuing to struggle, professional counselling can help by working with you to deal with the issues underlying the thoughts and feelings associated with your depression so that you can find a way out of the ‘prison’. Please contact sharonc@pacecounselling.co.uk for an initial consultation or telephone 07936 556314. Empty Nest Syndrome is the name given to the feeling of sadness that can affect parents when their children have left home. It is certainly natural to feel a bit low when your children first leave home. Often there is a big build up to them leaving with so much to be done. Once they have gone, it can suddenly hit you and the house can feel very empty and quiet. One Mum in her late fifties describes how she felt when her last son left home. If you are feeling a bit sad when your children have left, it’s really good to talk to other people about how you feel. You will soon come to realise that you are not alone with your feelings and it is reassuring to know that other parents are also feeling a bit miserable and slightly redundant. For women this time can often coincide with the menopause when emotions are already running amok and this combined with other commitments such as work, home and perhaps dealing with elderly parents can leave women feeling very down. It can be a time of conflicting emotions and sometimes a fear that life is never going to be the same. In this day and age it is easier to keep in touch with children once they have left and phoning, texting and emails can help regular contact which may feel more reassuring. However it is important to allow space between yourself and your child once they have left home, and not be concerned if they don’t reply straight away. Just remember, it’s quite natural to worry about them. You may miss their companionship and being a part of their daily lives but you can allow yourself to feel proud that your children have the confidence to leave home and “are on their way” wherever that may lead to in the future. When your children have gone it’s important to think positively of this new phase in your life. You can spend more time doing things you enjoy and maybe take up a new interest and catch up with friends who you haven’t seen for a long time. Things won’t be quite the same but just because things are different it doesn’t have to mean not as good. The Mum quoted earlier in this piece says that once she had adjusted to her children no longer being at home she felt differently. Everyone will be different in how they cope with or react to their “Empty Nest.” You do need to give yourself time to adapt but if you feel overwhelmed by your emotions and you are feeling down and tearful, then it maybe that you do need a little support to guide you through this transitional time. If this is the case then a visit to your GP may help to talk things through and your GP may suggest some counselling. Many thanks to Louise Convisser, freelance writer, for this article. If you know anyone who is struggling emotionally with issues such as these or with other difficulties, counselling can provide a confidential space to talk things through. Please e-mail sharonc@pacecounselling.co.uk or telephone Sharon Convisser on 07936 556314 for an appointment or initial discussion. I am just back from some excellent training in Lifespan Integration, which is a relatively new therapeutic technique in the UK to help adults overcome the effects of early trauma and neglect. Lifespan Integration was developed in 2002 in the USA by Peggy Pace. It utilises up to date neuroscience research of how our brain and memory are affected by trauma and attachment issues. It is already well known that traumatic experiences can impact children during their early development, and can have lasting effects into their adult lives, affecting how individuals view themselves and others in the world for the rest of their lives. For example, as adults, we might find ourselves reacting very emotionally to other people or situations in a way that feels disproportionate for what is happening. This can often be because we are being sub-consciously triggered by a past memory or feeling that has not been resolved for us. Lifespan Integration works by helping the adult client enter into an internal dialogue with his or her ‘child state’ and using the client’s active imagination to repair early life experiences. 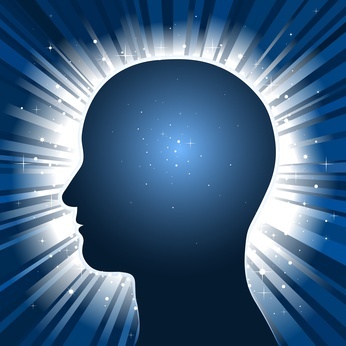 The client is then led through a Time Line of his or her memories which has the powerful effect of proving to his or her mind and body that life is different now and that whatever happened is well and truly in the past. This brings about the integration of memories in a very gentle, non-traumatising way by joining up neural structures across the individual’s lifespan. When memories are integrated in this way, we become less ‘triggered’ by past events, and it therefore becomes possible to respond to current situations and other people in more age appropriate ways. Having participated in the technique myself during the training, both by being on the receiving end and also as a therapist, I experienced and saw that connections made were at a deep level but in a way that was non-traumatising. Lifespan Integration is an invaluable therapeutic technique which enables us to gain a greater understanding and resolution of early memories. This in turn allows us to respond in more helpful ways to stressful situations in our current lives. If you feel that past events in your life are continuing to affect how you view yourself and others, and you would like help to make changes, please contact Sharon Convisser at Pace Counselling & Hypnotherapy on 07936 556314 for an initial consultation.